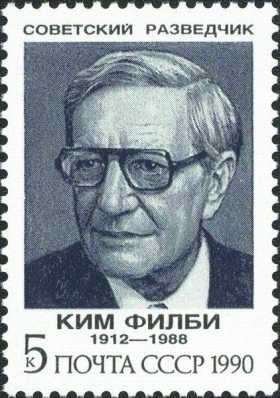 Almost everything written about and by Kim Philby is wrong, claims Boris Volodarsky. The Soviet spy and his KGB masters sought to exaggerate his successes against the West, beginning with the fictions that surround Philby’s first mission during the Spanish Civil War. On October 1st, 1967 The Sunday Times front page bore the headline ‘I Spied for Russia From 1933’. A large black and white photo (right) showed a man, standing in Red Square, in an open-necked shirt, in front of the Kremlin. The editor of The Sunday Times, Harold Evans, knew little about the figure in Moscow. Some months before, he had summoned his Insight team of investigative journalists and instructed them to track down and find out as much as possible about the man, whose name they had learnt was Harold Adrian Russell ‘Kim’ Philby. The team soon discovered that John, Philby’s son by his second marriage, lived in London. As John’s ambition was to be a war photographer, The Sunday Times commissioned him to go to Moscow to photograph his father. Philby was glad to see the son he left behind after he was secretly extradited to Russia from Beirut in 1963.